Where there are people, there is trash. If you would like to avoid the masses of litter that come with large crowds, have At Your Service take care of the garbage. 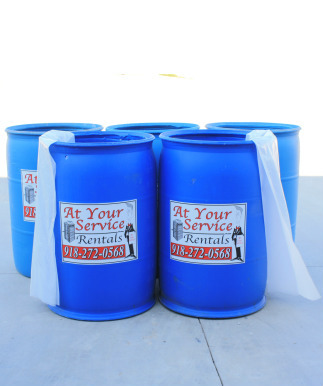 We will bring our extra large trash drums to your event, place them, line them and provide the option of servicing them throughout your event. At Your Service's trash rental services will give you one less thing to worry about. Let us ensure the seamless operation of your concert, wedding, festival, fair and other special event trash services. If you are planning an event, be sure to check out our Special Event Restroom Units. We also provide Temporary Fencing (for crowd control and blocking off restricted areas), Urinal Units and Sinks for all of your event porta potty needs.